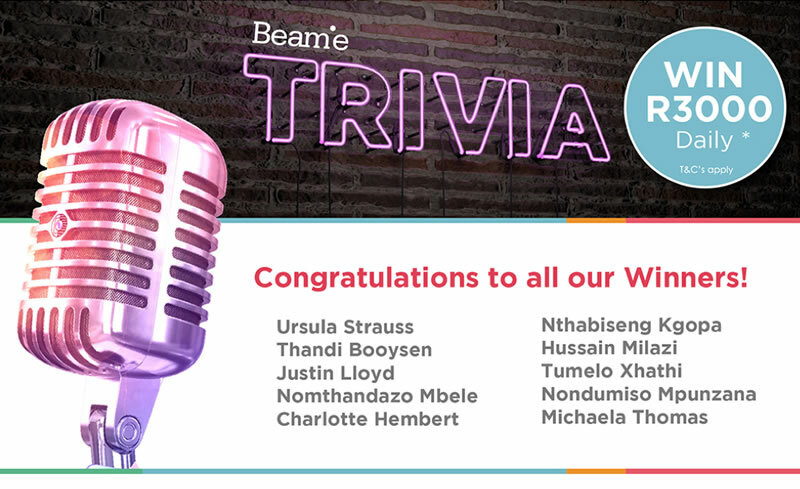 Listeners could win R3000 daily by visiting the Beame website and answering the Beame Trivia questions over a period of two weeks. The campaign was also promoted on Facebook and Twitter, via the Beame website and in-store at our channel partners. Thank you to everyone who participated in this exciting campaign. If you missed the Beame radio clip, click here to listen to it.